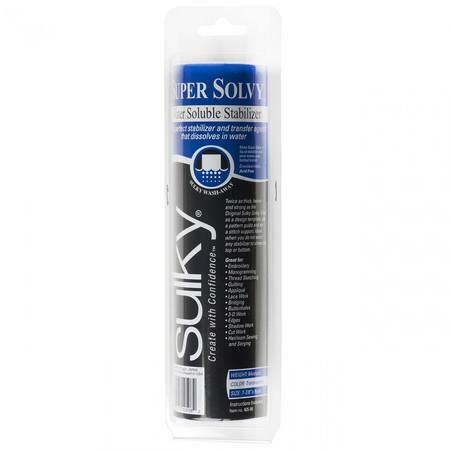 Sulky Super Solvy Stabilizer is twice as thick, heavy, and strong as the original Sulky Solvy. It's a firm, see through stabilizer that dissolves in water like magic! Perfect for embroidery, computerized lace, quilt patterns, buttonholes, monogramming, applique, and more!